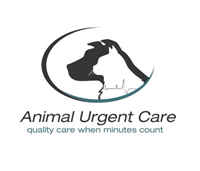 Animal Urgent Care (AUCSG) is the longest operating veterinary emergency facility in North San Diego County, providing emergency and urgent care service for dogs and cats, 24 hours a day, 7 days a week, 365 days a year. Services Staffed with veterinary specialists in emergency and critical care, our seasoned veterinary specialists and experienced nurses are prepared to diagnose and treat pet emergencies such as automobile trauma, bite wounds, coyote attacks, poisonings, rattlesnake envenomations, bloat, fractures, infections, foreign body ingestions and various other medical and surgical emergencies. Our fully equipped veterinary hospital can provide immediate laboratory testing, digital x-rays, abdominal and cardiac ultrasound in addition to constant minute to minute monitoring of critical dog and cat patients. They fully explained my pet's condition. When I left I knew exactly what my pet has and what treatments are available. I was very satisfied with my visit. They were helpful and I left feeling encouraged. I am going to refer everyone I know here. I absolutely love this place. They went out of their way to make me feel special and respected, and were very sympathetic to my situation. I've never seen more kindness and empathy anywhere else. I felt absolutely at ease leaving my pet here- everything is brand-new and top of the line. Their equipment is all the most advanced, so I knew my pet would be getting top of the line treatment. They have some of the best customer service I have ever seen. Putting their customers first is definitely a priority here and it shows.